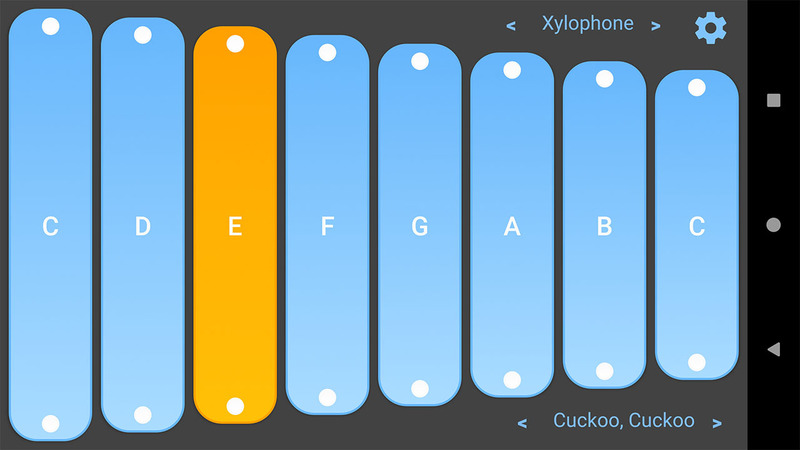 Magic Xylophone is not only a casual xylophone. It magically shows you what to touch to play a song. Within minutes you can play 'all my ducklings', 'Cuckoo, Cuckoo', 'Brother John', 'Happy Birthday', 'Jingle Bells' and other songs. You can also change the sound of your xylophone to tinkle bell, marimba, toy piano, orchestra hit or wood block. 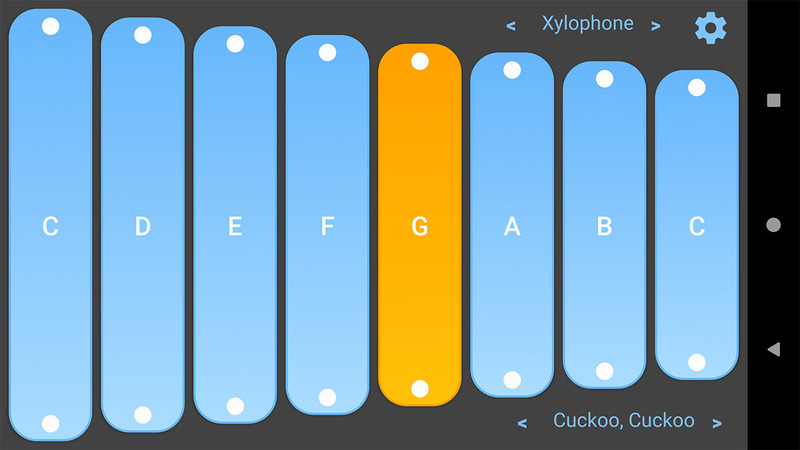 Works like expected: you can slide over the xylophone as well as play several tones simultaneously.